I have tons of white plastic bags as many people do. Most people that craft with recycled plastic bags find it difficult to find pretty colorful bags. You can usually find a few unique colors but it’s almost impossible to find enough bags to crochet a complete tote bag. So I’m always on the quest to find new ways to embellish my white tote bags. 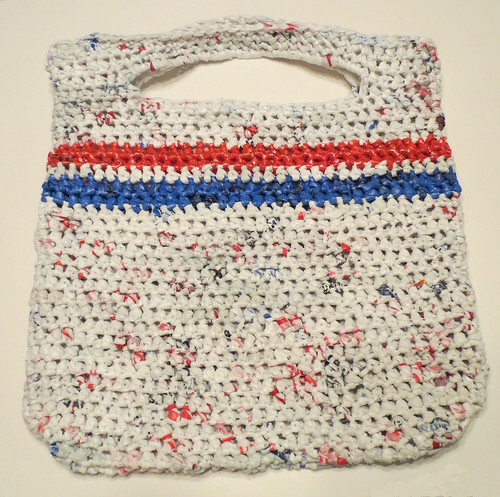 Here is my latest crocheted recycled plastic bag. It’s a red, white and blue striped reusable tote bag. It uses around 30 white retail bags and only about 3 blue plastic bags and 3 red newspaper bags. As you can see, just a few colorful bags can dress up an otherwise boring white plastic bag tote. 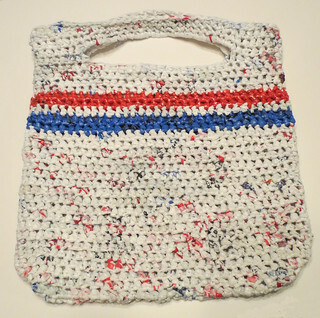 To crochet this recycled tote bag you basically use my Ultimate Grocery Bag pattern and add the stripes using the red and blue plastic bags cut into plarn. I also changed up the handles a bit and will detail the changes below to explain how to crochet this recycled plastic tote bag. I used a N (9 mm) crochet hook to work this tote bag. 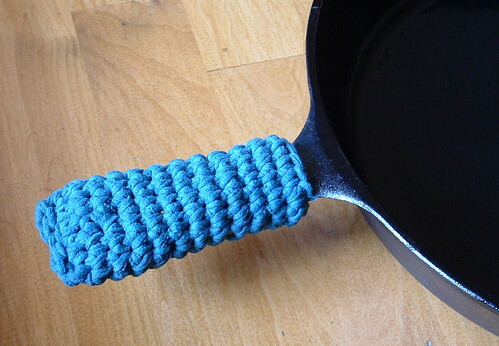 The finished size is 13 inches wide and 14 inches long with 9 inch handles. It has been over six years now since I started this recycled bags blog. When I first started out I wanted to share the idea of using plastic bags for craft projects. I wanted to promote the reuse and repurposing of plastic for useful items. Over the years, I have crocheted tote bags, rugs, scrubbies, purses, baby bibs, soap dishes, coasters, baskets, gift bags, water bottle holders and much more using recycled plastic. 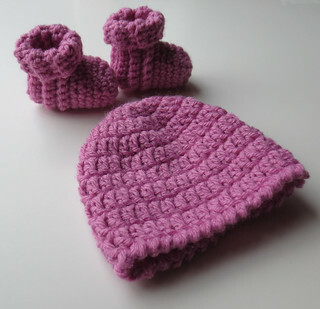 You can find all of my crochet free plastic bag patterns here at my site. Over the years I have shared all my patterns free so that everyone could enjoy crafting with recycled plastic materials. I have used every type of recycled plastic such as retails bags, toilet paper packaging, hotdog and hamburger bun packages, frozen vegetable packages, paper towel packaging, bread bags, hashbrown bags, and taco shell bags.